One of the major benefits for installing a Duro-Last Roofing System by Umbrella Roofing Systems, Inc. is the Custom prefabrication. This is what sets Duro-Last® apart from the rest of the roofing industry because it provides Time off the Roof™ solutions. Prefabrication dramatically reduces rooftop labor - when workers are on the rooftop where the environment is harsh and unpredictable. 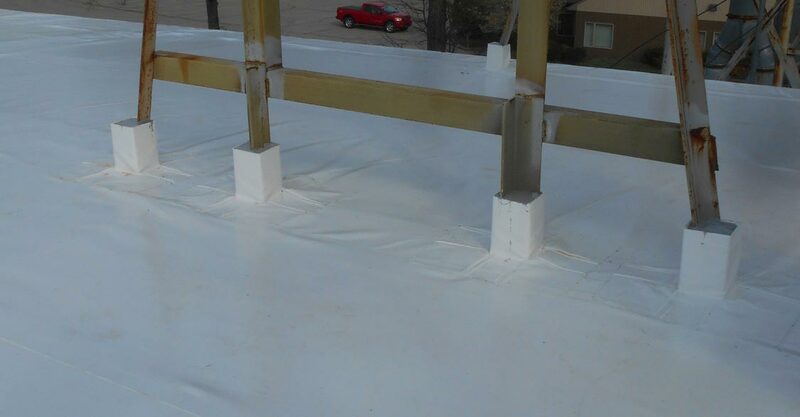 We feel that Duro-Last's prefabricated flashings and accessories address the critical transition areas of a roof. All of this leads to a long-term, low-maintenance solution. Accessories are prefabricated from 40 or 50 mil membrane and are available in a variety of colors. Welding is completed in a factory-controlled environment, providing a better-looking finished product along with the necessary watertight integrity. Rooftop labor is greatly reduced. Duro-Last® prefabricated stack flashings are a time-saving solution for round rooftop penetrations of any size. These flashings easily wrap around penetrations and are secured to the roof by welding the flashing’s skirt to the installed membrane. The combination of reinforced membrane and prefabrication ensures a long-lasting, watertight flashing. Custom and standard sizes are available. Duro-Last® prefabricated curb flashings are designed for roof penetrations. These flashings are easily welded to the installed membrane and the combination of reinforced membrane and prefabrication ensures a long-lasting, watertight flashing. Pictured is a Duro-Last pitch pan around a metal support piece. Duro-Last® prefabricated drain boots can be used in most circular roof drains. They are specially designed with a skirt made of membrane that is easily welded to the installed roof. The combination of reinforced membrane and prefabrication ensures a long-lasting, watertight flashing. Made from Duro-Last® 40 or 50 mil membrane for use with Duro-Last. To ensure a watertight installation, a caulk sealant is applied to the outside of the drain boot before it is installed, and the drain is sealed with an expandable composite drain ring inside the drain after installation. It is recommended to install dome strainers over all drains to catch debris and leaves. These metal accessories come with membrane welded to them, reducing installation time and providing a clean, aesthetically pleasing finish. The combination of reinforced membrane and prefabrication ensures a long-lasting, watertight flashing. Made from Duro-Last® 40 or 50 mil membrane for use with the Duro-Last Roofing Systems. Unique to Duro-Last and EXCEPTIONAL Metals, the Vinyl-Back Collector is assembled with an attached double skirt scupper to allow maximum water flow. Pitch Pan and Roof Scuppers are included in the Duro-Last warranties. Unique to Duro-Last, Two-Way Air Vents are designed to improve the performance of Duro-Last Roofing Systems by helping eliminate negative air pressure and promote air flow. Membrane comes attached to the vent, making installation quick and watertight. They also provide a means of escape for condensation that can occur in rooftop installations. Made from Duro-Last® 40 or 50 mil membrane for use with the Duro-Last Roofing System. One vent is required for every 1,000 square feet of roof deck area, on mechanically attached roofs. 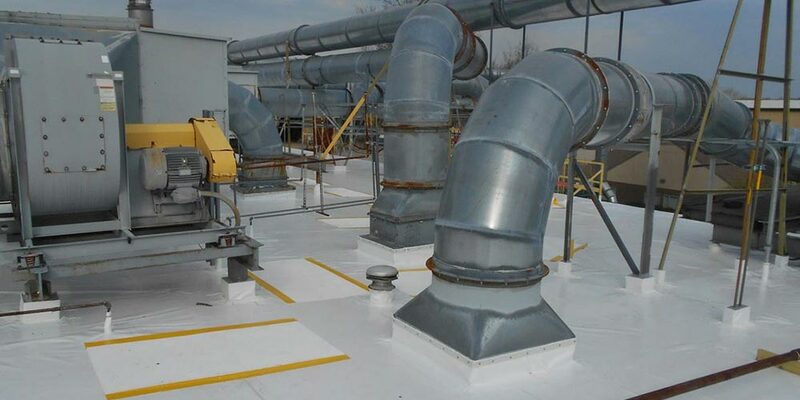 EXCEPTIONAL Metals products that are made from vinyl-coated metal enable Umbrella Roofing Systems, Inc. to provide a secure, watertight bond between the metal product and the roof deck or parapet wall membrane. Roofing installations that include single-ply products from Duro-Last and components from EXCEPTIONAL Metals are protected by a comprehensive edge-to-edge, deck to sky warranty. 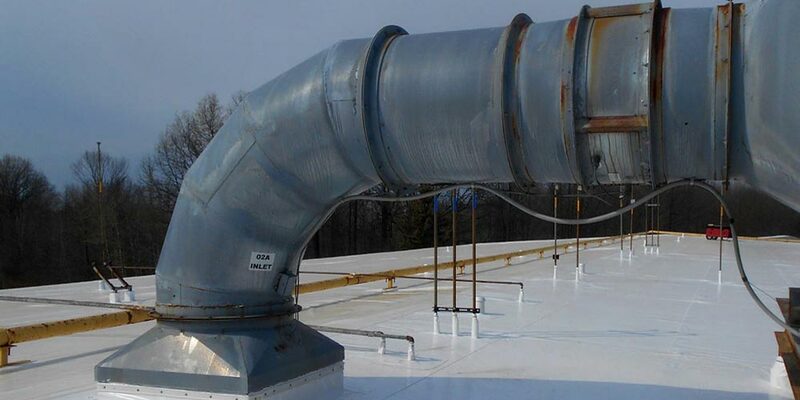 Umbrella Roofing Systems, Inc. uses the Duro-Guard line of insulation products which, allows for high performance roofing assemblies through high R-values and energy efficiency. These products can contribute to roofing assembly best practices, making the “World’s Best Roof®” even more durable. Even the “World’s Best Roof®” will only perform as well as it’s edge details, drainage systems and metal components. Umbrella Roofing Systems, Inc. uses high-quality edge metal details and drainage components from EXCEPTIONAL Metals.